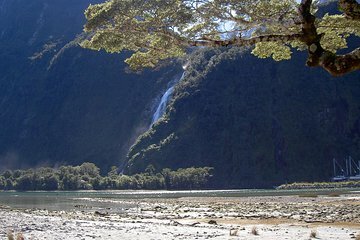 Experience the beauty of Milford Sound both up close and from above on this half-day helicopter tour that’s full of variety. Fly around popular sights like Mt Aspiring and remote, lesser-known highlights like the grand Lake Lochnagar. Touch down on beaches and alpine crossings and discover the diversity and beauty of the Sound in a way that few visitors get to experience ever, let alone in one day. Hangar on Cattle Flat Station at the start of the Matukituki Valley and the border of Mt Aspiring National Park.